At BitSummit a couple of weeks ago, Inti Creates CEO Takuya Aizu hosted a special stage show. It was here where Mighty Gunvolt Burst and Azure Striker Gunvolt: Striker Pack on Switch were officially revealed. 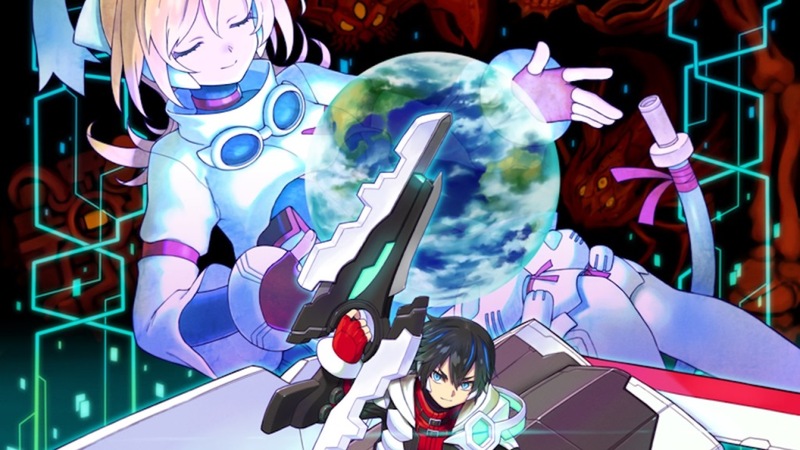 Before the two announcements were made, Aizu was able to talk about how Blaster Master Zero came to be. Sunsoft originally reached out to Inti Creates about the remake. However, the company was pretty busy at the time, and only said that they’d think about it. It wasn’t until E3 2015 that the conversation came back up with Sunsoft. During a meeting, Sunsoft outright said it would be great if they could work on the game, and Inti Creates agreed. Inti Creates was working on the 3DS version of Blaster Master Zero, and it was about 50 percent complete when it was announced that Switch would be coming out. The team started developing for Switch while working on the 3DS version at the same time. After ordering Switch hardware last October, it was ported and submitted to Nintendo just a couple of months later. Working with Switch went smoothly due to Blaster Master Zero using the same engine as Azure Striker Gunvolt. Inti Creates already has two new projects lined up for Switch. Mighty Gunvolt Burst is set for June 15, while Azure Striker Gunvolt: Striker Pack will follow in August.